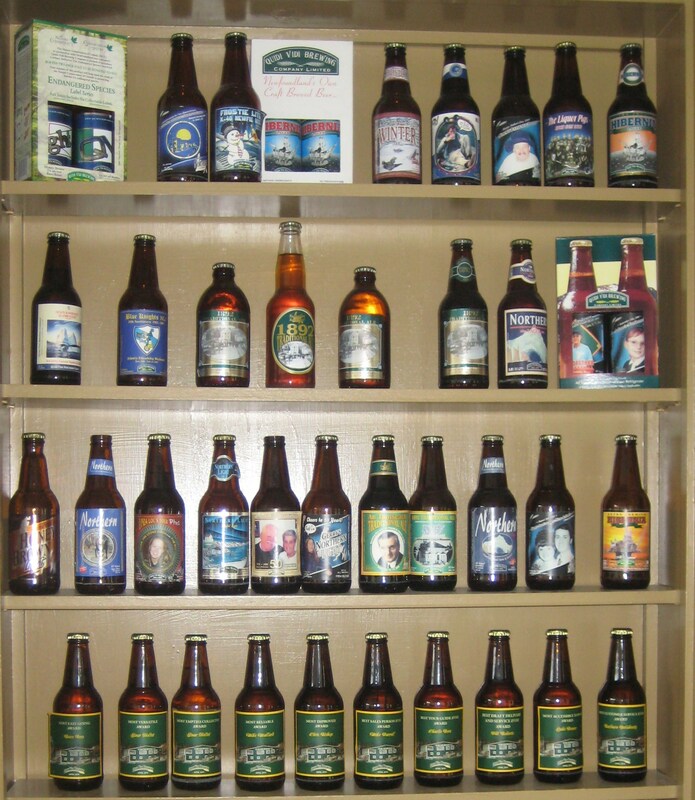 Brands: 1892, Eric’s Cream Ale, Iceberg, Honey Brown, Premium, and Light. 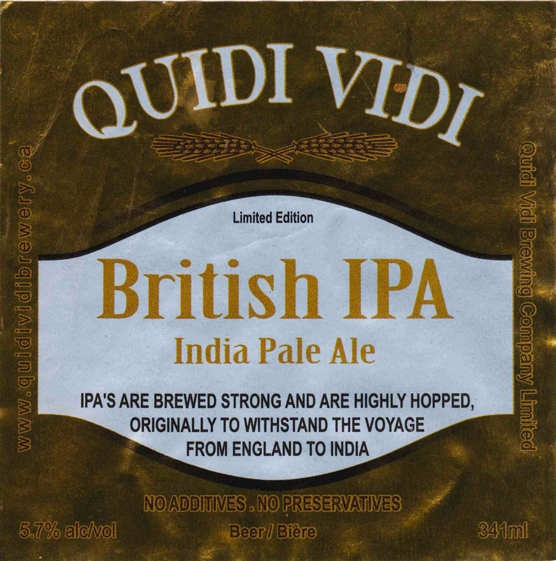 Quidi Vidi Brewing, founded in 1995 (and first brewing in 1996) by David Rees and David Fong, was the first independent brewery to open in Newfoundland since 1962. It was built, and is currently, on the site of the old Cabot Seafood Plant in Quidi Vidi Village, St. John’s. On their website they say that they were inspired by the craft beer scene in North American and wanted to import a little of that spirit back into Newfoundland by breaking with “the non-descript beer styles being produced by the larger breweries.” They produce using only water, malt, hops and yeast without additives or preservatives, with the exception of honey in their Honey Brown. 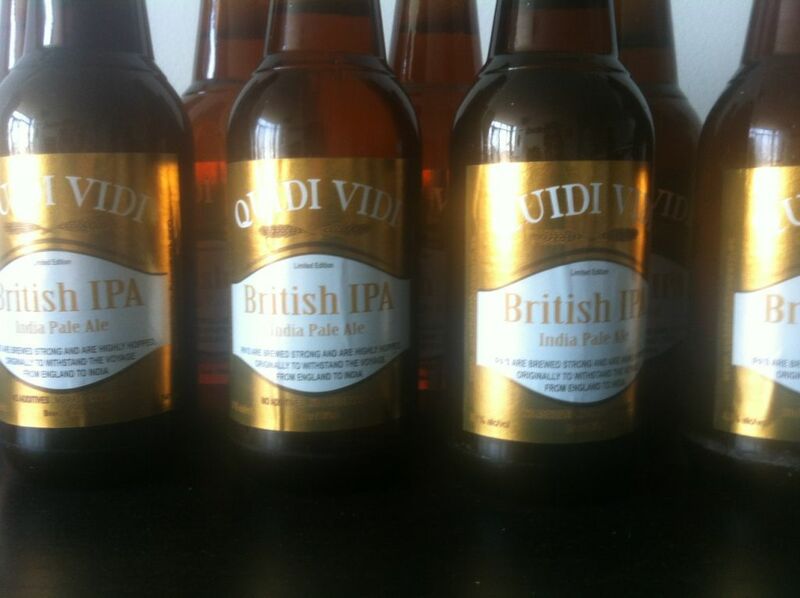 In many ways Quidi Vidi has attempted to compete with the major macros by focusing on Canadian lager (“QV”) and light lager (“QV Light”) styles, providing a high alcohol lager (“7”), and attempting to innovate with a beer-cooler which was flavoured with Purity syrup (“Cranberry Cloud”). Both 7 and Cranberry Cloud have since been discontinued. A recent rebrand of their bottles, making QV simply “Premium Lager” and QV Light with “Light Lager,” and rebranding “Eric’s Red Cream Ale” to “Eric’s Cream Ale” to avoid the constant expectation that it may actually be a red beer. “1892” is what they call a “traditional ale” which has been designed to emulate what beer may have tasted like in 1892, the year of the great St. John’s fire, by using the hop varities which would have been imported to Newfoundland at the time (largely Saaz hops, if memory serves). 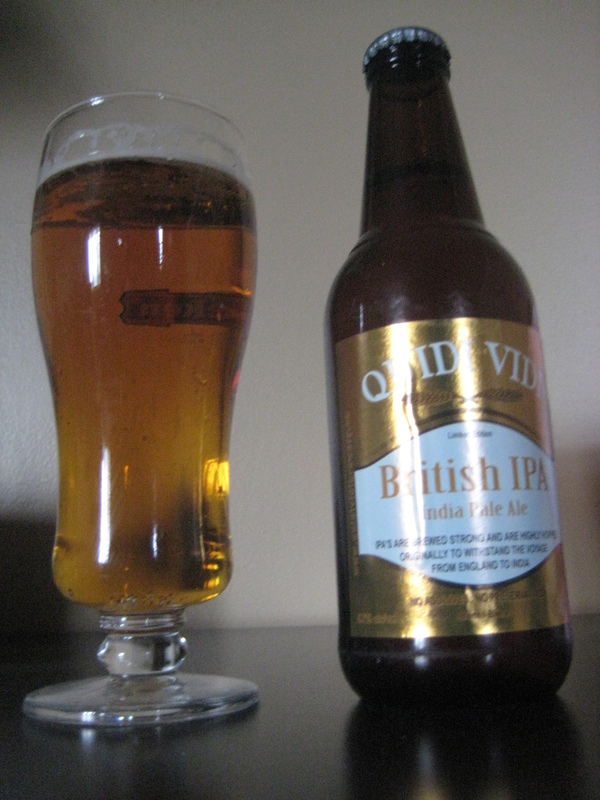 In 2011 they updated their Christmas “Mummer’s Brew” into a seasonal beer series, the second of which is a British IPA, making it the first IPA to be brewed commercially in Newfoundland since the demise of “India Pale Ale” by the Newfoundland Brewing Company. World-wide they are known for their “Iceberg beer,” which comes in a unique blue bottle and is made from melted iceberg water. Just for full disclosure, I have probably drank more 1892 than any other beer. It’s very, very close to my heart. Bonus! A video from user CanadianTourism’s youtube channel (click on the video for more from CanadianTourism) where Dave discusses Iceberg beer. It’s not actually 15 minutes outside of St. John’s, it’s just on the outskirts of the East End. It’s actually about a 15 minute walk from where I grew up! 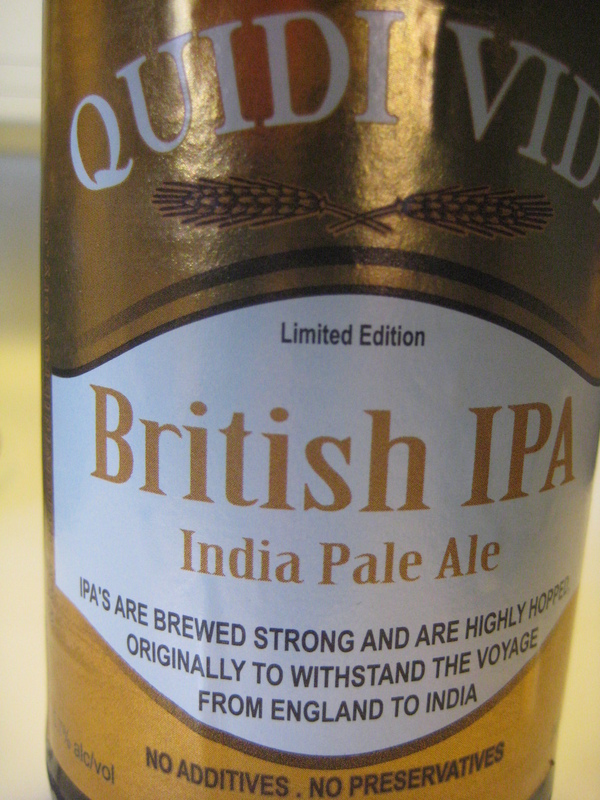 “Our Story” Quidi Vidi Brewing Company 2012, last accessed February 17, 2011.